Animal vector footage of a badger. Silhouette graphics of the walking and sniffing animal. Neutral colored fur pattern on the head. Free vector footage for wildlife, wilderness, wild animals, zoos, nature and fauna visuals. 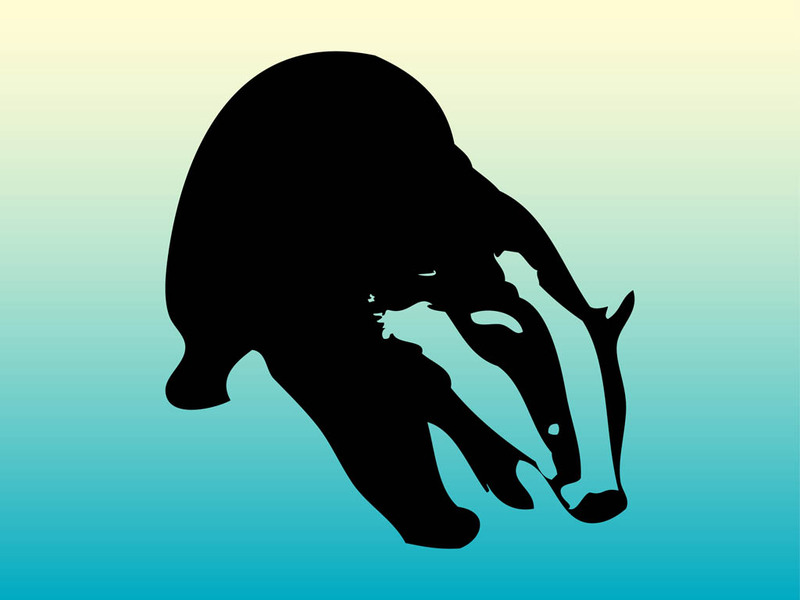 Badger silhouette for stickers, decals, posters and T-shirt prints. Tags: Animal, Badge, Silhouette, Sticker, Wild, Wilderness, Wildlife. Get Social & Connect With Us! Here we spotlight the most active members. Disclaimer: All exclusive artworks are the property of VectorFree.com. Any other artworks are the property of their respective owners.